We want to ensure that GI is fully recognised for its potential to respond to a range of current and future challenges. GI is multifunctional; it can help to mitigate and adapt to climate change, improve health and wellbeing, decrease soil erosion, manage water resources flooding and sustainable drainage systems (SuDS) and enhance biodiversity. The role of GI in addressing a range of today’s challenges cannot be underestimated. What is GI and why is it important? GI is the network of natural and semi-natural features, green spaces, rivers and lakes within and between our villages, towns and cities. When appropriately planned, designed and managed, these green assets have the potential to deliver many benefits – from providing sustainable transport links to mitigating the effects of climate change. Our position statement sets out why GI is crucial to our sustainable future, along with showcasing a range of successful GI projects. The LI publication is aimed at public and private sector bodies, and useful for both clients and practitioners. The guide shows how collaboration is key to delivering multifunctional landscapes – and why landscape professionals should take the lead on the integration of GI. 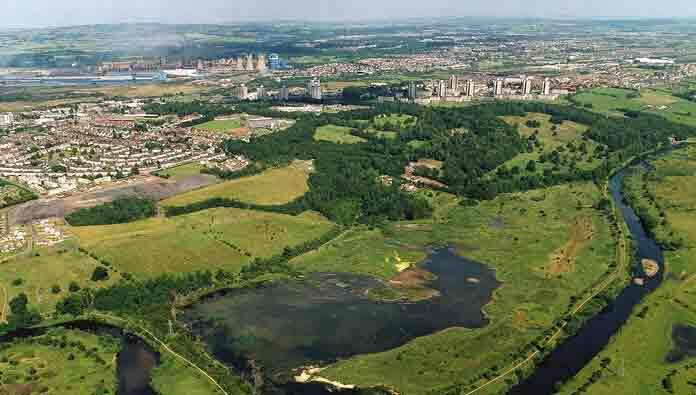 Read ‘Green Infrastructure: an integrated approach to land use’. (PDF 1.7MB). For print copies email the policy team: policy@landscapeinstitute.org. This video gives a quick overview of GI and how to make the most of using green features and assets to encourage biodiversity, wildlife and more. Since the LI launched its first position statement on GI in 2009, there has been increasing government acknowledgement that GI is crucial to planning a sustainable future. The LI champions GI and the role of landscape professionals to plan, design and manage this essential infrastructure. We promote this message via publications, research, events, PR work, and responses to government policy consultations. 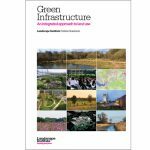 Our most recent position statement, ‘Green Infrastructure LI Position Statement 2013‘ (PDF, 117KB) sets out why GI is crucial to our sustainable future. The publication also showcases a range of successful GI projects. Aimed at public and private sector bodies, but also useful for clients and practitioners, the publication shows how collaboration is key to delivering multifunctional landscapes. It also illustrates why landscape professionals should take the lead on the integration of GI. 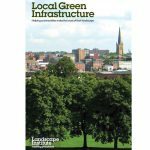 The LI’s first position statement, ‘Green Infrastructure position statement 2009‘ (PDF, 1.9MB), was published in 2009. For print copies of any of these publications email the policy team: policy@landscapeinstitute.org.